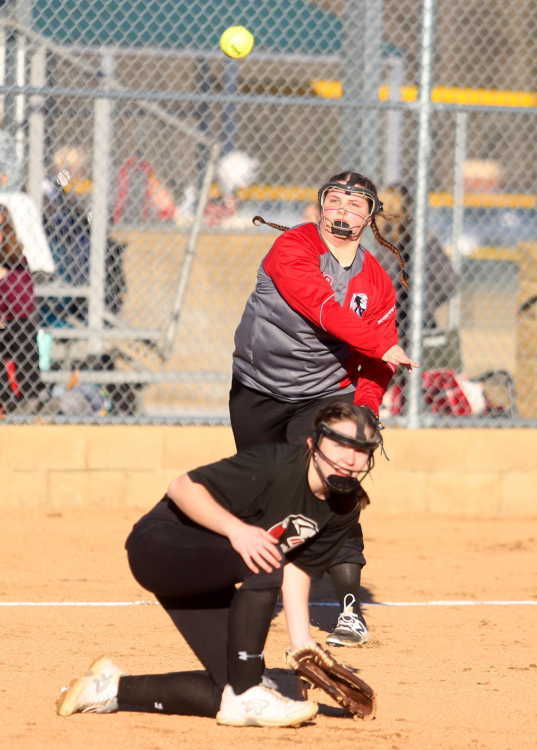 EPC’s offense could only muster four hits and a run against Monticello as the Lady Warriors lost 4-1 this past Friday in their opening round game in the Black Division of the Bearcat Blast in Jonesboro. Lady Billies scored two runs in the top of the first inning off two hits and a misplayed fly ball by Bre Ward to take a 2-0 lead. Keragan Gordon flew out leading off the bottom half as Zoe Constant and Meagan Allen both struck out to end the inning. Monticello added another run in the top of third inning as they took advantage of two EPC errors making it 3-0. Jordyn Brewer struck out leading off the bottom of the second as Mayce Brewer followed with a single. Mayce Brewer moved to second on a passed ball before Emili Mangrum drew a walk. Kaylee Hood reached on a bunt single as Bre Ward’s ground out scored Mayce Brewer before Edith Santos struck out to end the inning with the Lady Billies up 3-1. Monticello had back to back singles before Allen retired the next three batters to keep the score 3-1 Lady Billies after two and half innings. The Lady Warriors went down in order in the bottom of the third as Gordon popped out, Constant struck out and Allen grounded out. Allen retired the Lady Billies in order in the top of the fourth keeping the score the same. Jordyn Brewer reached on an error moving to second on the error. Mayce Brewer struck out before Mangrum singled. Hood popped out to the pitcher before Bre Ward grounded out to end the inning with Monticello up 3-1. Full game story in March 21 edition of the PCDT!